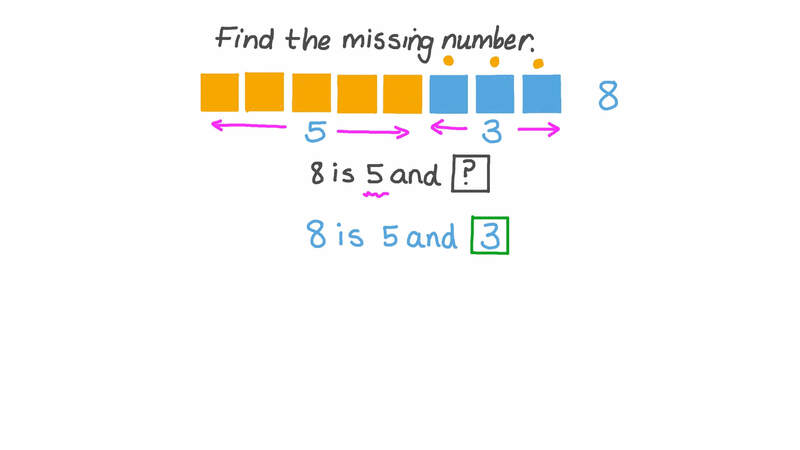 In this lesson, we will learn how to decompose the numbers 8 and 9 into pairs using pictures and ten frames. Which of these has a different answer? 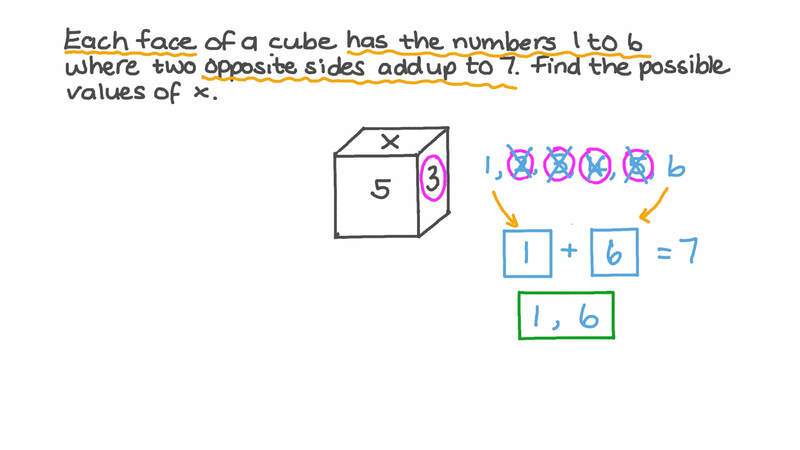 Each face of a cube has the numbers 1 to 6 where two opposite sides add up to 7. Find the possible values of 𝑋 . Fill in the gaps: .